What do angelfish, sharks, oysters, crabs, whales and an octopus have in common? They all need good friends too. 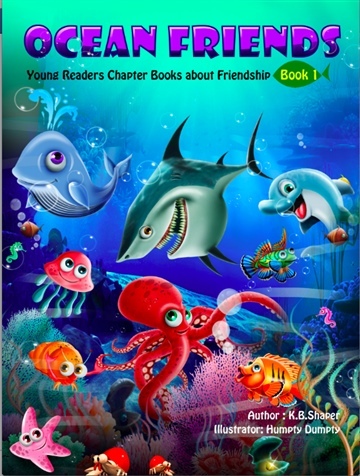 So come along and meet Angel, Mandy, Nestor, Eliot, Sharkie, Ollie and the whole bunch as they deal with scary things, peer pressure, helping others, and making new friends in the most unlikely ways. And they learn a thing or two about being friends, even when they're different, new, shy, or scared. Three great stories about making and being good friends. They're all waiting to meet you - come on, let's be friends! Friendship, whether you're human or sea creature, is really important. It doesn't matter whether you have toes or fins, what matters is that you have friends. Having someone to play with and have fun is really special. And under the ocean, there are all kinds of different marine life, that all want the same thing as you and me - friendship.